In Dragon Door’s RKC kettlebell instructor training system, the Beast Tamer and Iron Maiden challenges represent the ultimate athletic achievement of an elite few men and women. 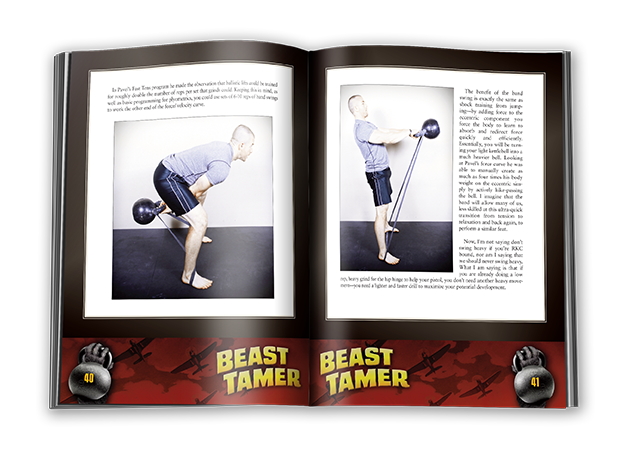 To earn the accolade of “Beast Tamer” men must flawlessly perform a Pistol, a Pull Up and a Press—with a 108-lbs kettlebell. To earn the accolade of “Iron Maiden” women must flawlessly perform a Pistol, a Pull Up and a Press—with a 53-lbs kettlebell. What works in real life to become an all-around, elite strength champion? Andrew Read gives you the tools, tips and techniques that can turn you from ordinary to extraordinary. Want to tap into your inner Beast or inner Iron Maiden? Bring passion, dedication and supreme determination to your training table—and you CANNOT FAIL. How sure are we that Beast Tamer (paperback) will work for you? Simply fill out the form below and put Beast Tamer (paperback) to work for you right now. Obviously, we would go out of business if Beast Tamer (paperback) didn't work, the way we said, right? With the promise of a full refund if you're unsatisfied, you have nothing to lose by trying Beast Tamer (paperback). Go ahead and try it today. In Dragon Door’s RKC kettlebell instructor training system, the Beast Tamer and Iron Maiden challenges represent the ultimate athletic achievement of an elite few men and women. 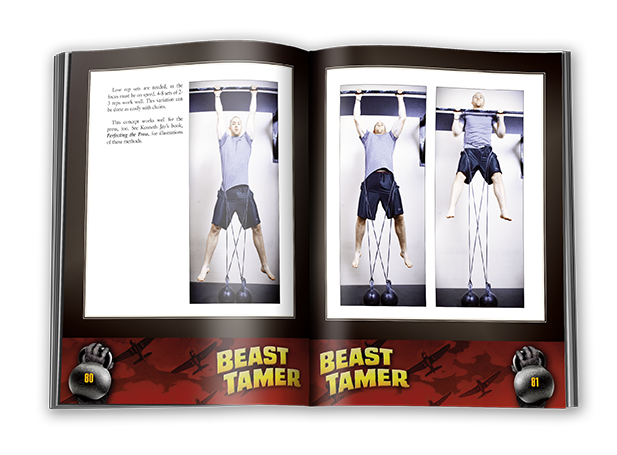 To earn the accolade of "Beast Tamer" men must flawlessly perform a Pistol, a Pull Up and a Press—with a 108-lbs kettlebell. To earn the accolade of "Iron Maiden" women must flawlessly perform a Pistol, a Pull Up and a Press—with a 53-lbs kettlebell. These three lifts comprise elements of strength, mobility and skill that make each different enough from the others as to make performing all three a feat worthy of great respect. 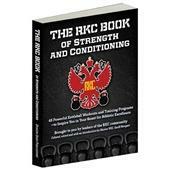 The RKC ranks are filled with strong, able men and women. That only around 1% have accomplished The Beast or the Iron Maiden Challenges, speaks volumes about their difficulty. As with any great feats of strength, success comes from a combination of dedicated training, careful programming, a clear understanding of the necessary progressions and the cultivation of particular skill-sets. Without the correct formula applied in the correct manner, the RKC Beast Tamer and RKC Iron Maiden are just not going to happen. 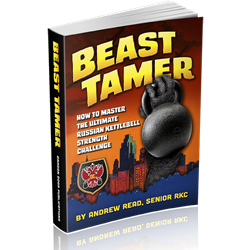 When Senior RKC, Andrew Read did a deep dive to research what exactly it took to master the Beast Tamer or Iron Maiden, he discovered some clear commonalities in the training methodologies of successful Tamers and Maidens. Success leaves clues. Andrew Read shines a masterful light on those clues, building a foolproof blueprint for the achievement of elite strength. "What works in real life to become an all-around, elite strength champion? Andrew Read gives you the tools, tips and techniques that can turn you from ordinary to extraordinary. Want to tap into your inner Beast or inner Iron Maiden? Bring passion, dedication and supreme determination to your training table—and you CANNOT FAIL. We look forward to welcoming down the road to the RKC Beast Tamer and RKC Iron Maiden Halls of Fame! Andrew Read has done a fantastic service in synthesizing some of the best material available (from Pavel, Charlie Poliquin, Kenneth Jay, the FMS, etc.) on presses, pulls, and pistols with his own 20+ years of experience. I love how personalized the programming is. For instance, Read offers different program guidelines for people who are more endurance-geared (slow twitch) and power-geared (fast twitch) so that his templates match his athletes. In addition to his programs, he also shares the programming/personal insights of a host of Beast Tamers/Iron Maidens. 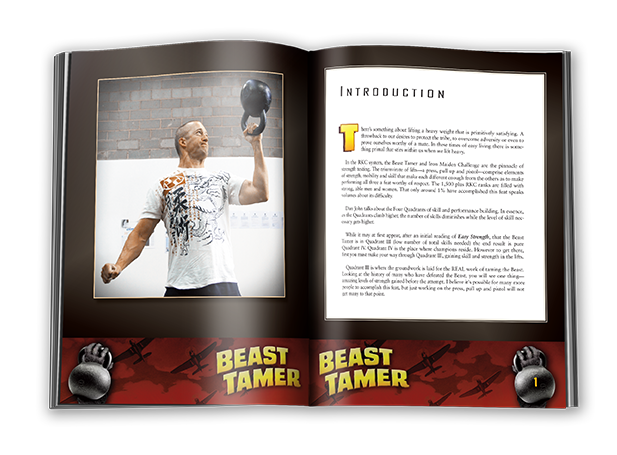 Finally, the book is full of correctives and drills to give aspiring Beast Tamers that little edge they need AND provide relative novices with a great point of access to these three crucial lifts. I've already started implementing the "Pistol LIte" progressions with my mostly middle-aged clients who are just trying out one-leg squats for the first time. Thank you, Senior Instructor Read, for putting such a wealth of knowledge together in one place. 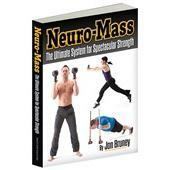 Master Read does a great job of bridging the gap between FMS and strength. It is not good to be only strong, we also need to have good mobility and stability as well. So kudos to Master Read for putting together an intelligent program designed to get us stronger. I look forward to trying my hand at the Beast Tamer challenge in the near future with this book's help! I LOVED the Book...from the opening paragraph to the interviews with IM's and BT's at the end. I loved the program options/ideas/drills! It's simple,easy programming. When you can take something that seems complicated and make it simple...I believe that is genius! If you have an interest in IM/BT training or to just simply want to get better at one or all the lifts ...this book is for you! I had the privilege of Andrew programming my IM training 6 weeks ago. The program worked! 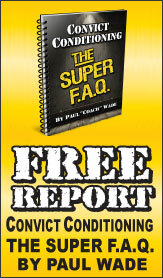 It was just what I needed to work my weaknesses with FMS correctives/drills and of course ..the program! It all came together and was a "beautiful thing" in the end...Thanks to Andrew! Rated 10/10 Can you Tame the Beast? If you get Andrew Read's book you will be armed with the information you need to make an honest attempt at this feat of strength! This is a great book on how to reach your strength potential and it's written by someone who has the insight and experience to get you there! Regardless of your desire to Tame the Beast you will be well served in reading this book in that the information contained within its pages will are you with the information to get strong and stay strong! During my recent RKC with Max Shank I told him I would attempt the beast tamer challenge when I did my level 2 workshop. 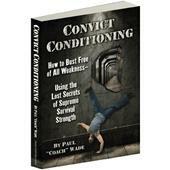 This book is instrumental in giving me the insight in how to go about training for that. My clean and press and pistol are already pretty close but the pullup has a way to go still, so seeing a good plan for maintaining these two while making improvements on the pullup will be very helpful. Andrew Read offers easy to follow advice on how to apply these training plans. I also enjoyed the interviews at the end which gave some insight into how people who had already passed the test trained for it. Thanks to this book I think I have a better chance of passing the test. 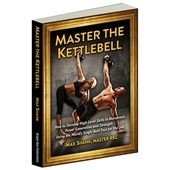 I've really enjoyed reading this book about the beast of kettlebells. Great information on the taming of said beast! Thanks!